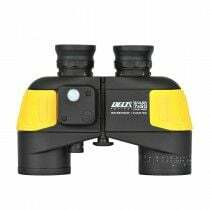 The digital display in the middle of the field of view (push the button to read the degrees, transparent display, which reduces transmittance. 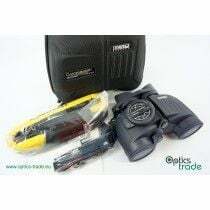 The compass is easier to use if it displays degrees in the middle). 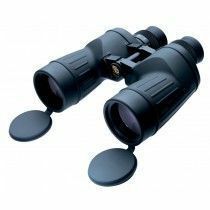 Are more or less all very similar- having a scale in the middle of the field of view, with which you can calculate the distance to the observed objects if you know their size. 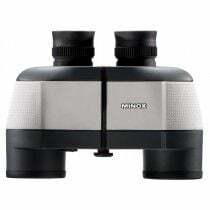 Good „miling“ requires a lot of experience and good prediction. 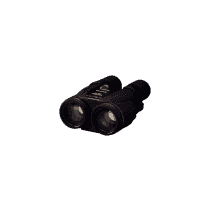 It is the same principle as with tactical riflescopes. 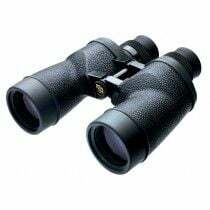 The scale is milliradian. 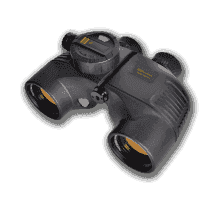 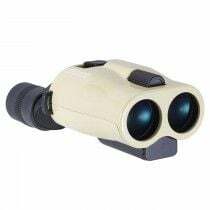 For now, there are no marine binoculars available with the laser rangefinder. 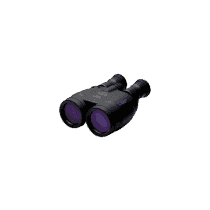 Why is 7x50 most common marine binoculars configuration? 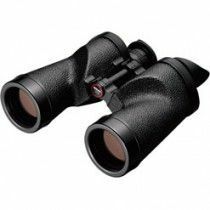 The 7x50 has established itself as a golden standard. 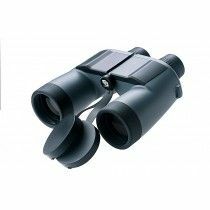 While looking through the binoculars the 7x magnification does not shake the image to the point of getting a seasickness, and our brains can normally compensate it. 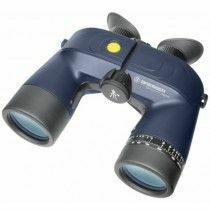 Most of them have Porro prism because it makes them easier to seal and individual focus for each eye separately. 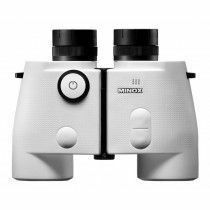 50 mm objective lens and 7x magnification give the 7 mm exit pupil, which is the most comfortable to use as it eliminates the trembling and allows us to always see a "full" picture. Most modern marine binoculars have this function, as it is possible to use higher magnification for better details. 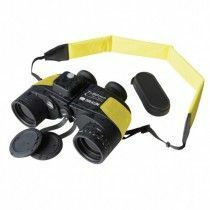 Normally, such binoculars are larger, heavier and more expensive. 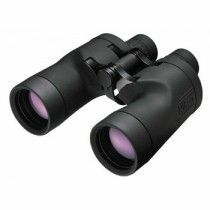 They usually do not offer as good resolution as the classic ones with the same magnification. 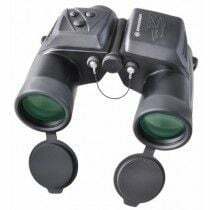 It is also a major weakness that they are not as reliable (less permeable if they fall into the sea and less resistant to falls) and bumps and are less bright. They do, however, offer use of higher magnification on moving boats due to their ability to stabilize the image. 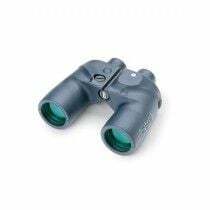 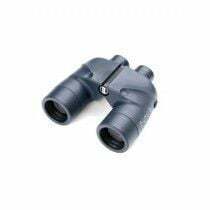 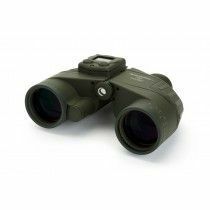 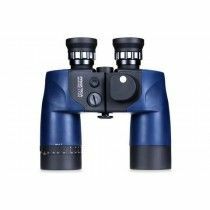 This feature is extremely common in this type of binoculars, as it also achieves the best water tightness. 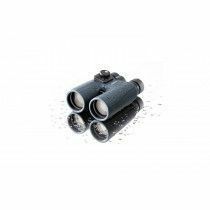 In Europe, Steiner has become an established provider of marine binoculars to the extent that nobody else in the premium class actually produces them anymore (Zeiss, Leica, Swarovski ...). 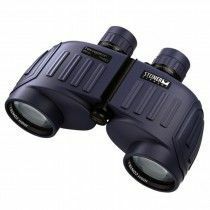 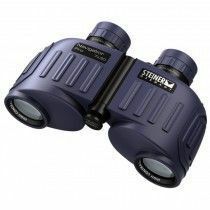 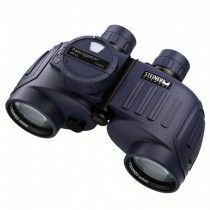 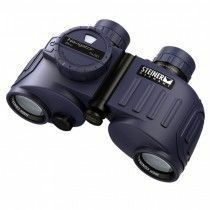 Steiner has 3 series of this type of binoculars and in each minimum of 4 models. 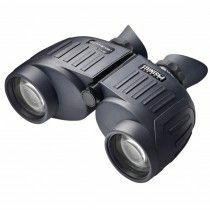 Configuration 7x50 and Porro prism are optimal because of a 7mm exit pupil, good light transmission, and focusing separated for each eye. 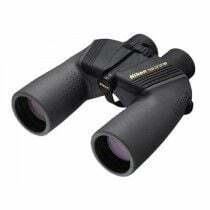 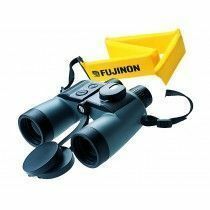 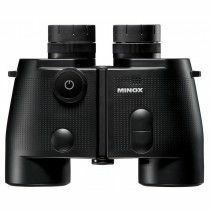 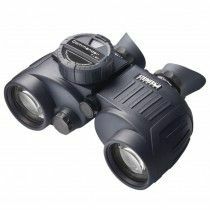 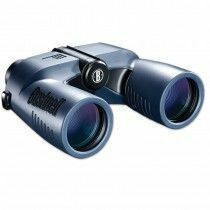 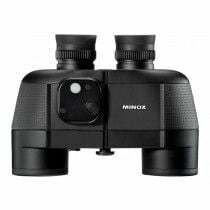 All these features mean that this type of binoculars is also the best choice for observing in the dark. 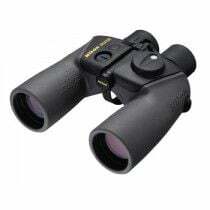 Due to all of the above configurations, they are perfect for dusk and dawn - however, they are not popular in hunting due to their special appearance, size, and inadequate colors.